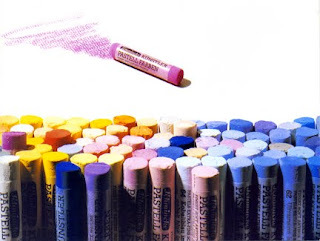 The full line (400) of Schmincke Soft Pastels are on their way to our shop, expecting to land in a just few weeks. This should now fulfill the needs of our customers who like a mixture of pastels, ranging from hard to the absolute softest. We also stock the full line of Faber-Castell Polychromo Chalks, Rembrandt, Art Spectrum and PanPastels. Please check out our online store for more information.